Chinese smartphone maker Xiaomi has filed to list on Hong Kong's stock market, in a move that is expected to raise up to $10bn (£7.5bn). The stock market flotation will be the world's biggest debut in 2018, and the largest since fellow China tech giant Alibaba's raised $25bn in 2014. Xiaomi has bounced back after admitting last year it had grown too quickly. As well as China, it is a major player in India where it rivals Samsung to be the most the popular handset maker. Last year Xiaomi moved into the Spain market and reports suggest it is also looking to get into the US to take on Apple. While it has not revealed how much it is hoping to raise in the initial public offering (IPO), the analyst estimate of $10bn would value the firm at just short of $100bn. The decision to choose to list in Hong Kong is a boost for the territory. It has just changed its stock market rules to try and attract more tech firms as it competes against other markets such as New York and Shanghai. Xiaomi announced the plans as it revealed sales of 114.62bn yuan (£13.2bn; $18bn) in 2017, up 68% compared with the previous year. However it made a net loss of 43.9bn yuan compared with a net profit of 491.6bn yuan in 2016. Besides smartphones, Xiaomi makes other internet-connected home appliances and gadgets, including air purifiers and rice cookers. Currently most of its profits come from internet services, and it has set up apps offering music and other entertainment, in a similar business model to that of Chinese rival Tencent. "We have changed how hundreds of millions of people live, and we will become a part of the lives of billions of people globally in the future," co-founder Lei Jun wrote in the prospectus for the flotation. 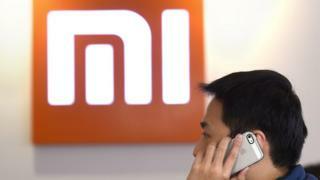 Xiaomi: Has the 'Apple of the East' lost its shine?